Topsy Offers Entire History of Public Tweets: “If you’re curious about your own first tweet—or any other piece of Twitter history” be sure to check it out. 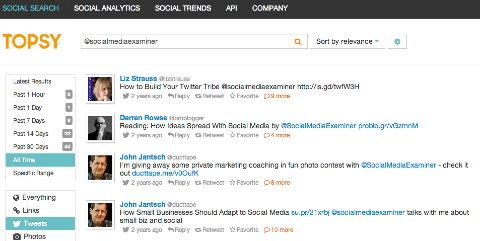 You can now search through the entire Twitter archive. 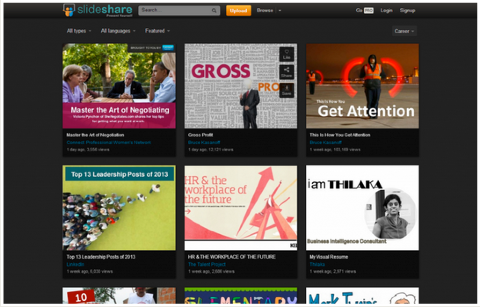 The new update makes "SlideShares more easy to find, share and enjoy." 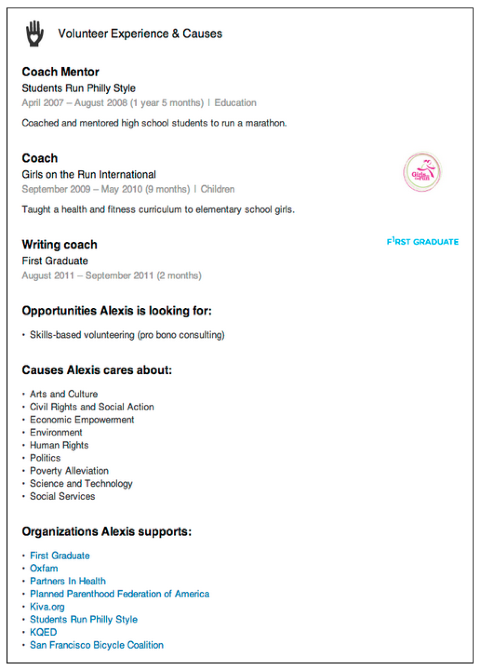 "Your network is more likely to send volunteer and board opportunities your way if they know that you're looking and what you're looking for." Strike Social: A tool to discover how well your content is performing on YouTube. 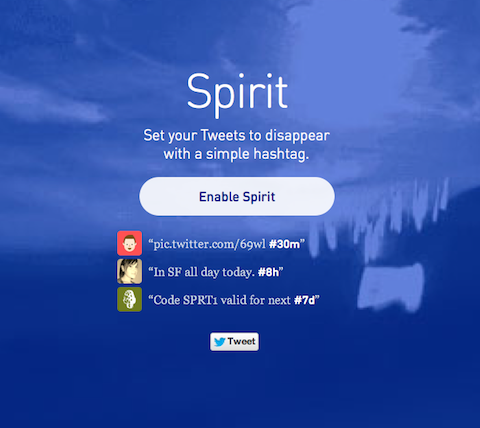 Spirit: A tool to set your tweets to disappear with a simple hashtag. Check out Spirit if you'd like to put a lifespan on any of your tweets.